The A90 is expected to close for three nights from this Friday (May 26) to allow for road surfacing works near to and on the new bridge at Charleston, as part of the Aberdeen Western Peripheral Route (AWPR) project. The A90 will close at 8pm on Friday and reopen the following morning around 6am. The A90 will close slightly later on Saturday (May 27) at 10pm to enable football fans returning from the Scottish Cup Final to use the A90 at Charleston in advance of the road closure. The road will reopen around 6am. The road will again close at 8pm on Sunday (May 28) and reopen at 6am the following morning. Day-time contraflows are also expected to be in place on Saturday, between 6am and 10pm, and on Sunday, between 6am and 8pm. Diversions will be sign-posted. Road users heading northbound will leave the A90 at Findon Junction and travel up the new C5K road where it will link in with the A956 Wellington Road. This will enable road users to rejoin the A90 northbound or cross over the A90 to the A956 Wellington Road. 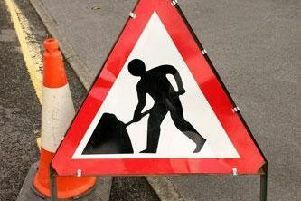 Road users travelling south, should exit the A90 using the existing southbound Charleston offslip road, travel along the A956 Wellington Road, turn at the roundabout and re-join the A956 Wellington Road to head south using the A90 southbound onslip road.